Michelangelo Merisi (or Amerighi) da Caravaggio (1571-1610) was a Northern Italian painter active from around 1592 to his death. In his short career he achieved fame through his works commissioned by the Catholic Church, and as such many of his large paintings are altarpieces still in-situ throughout Rome, Naples, Malta and Sicily. Despite his success as a painter his reputation often preceded him; a violent and short-tempered man, who squandered his earnings and swaggered around with a sword at his side. It was his aggressive inclination that eventually got him excommunicated by the Pope and exiled. Personality flaws aside he revolutionised painting of the late 1500s that was stylistically dominated by Mannerism. 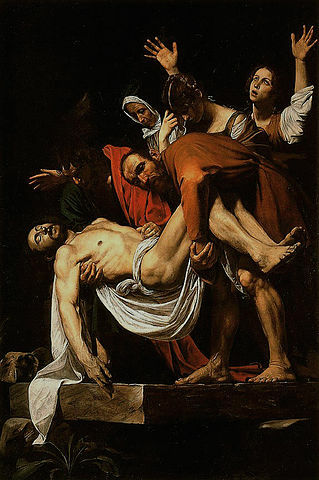 Caravaggio painted with a high degree of realism, combining it with emotional drama and visual effects such as chiaroscuro and strong directional lighting. His works were to have a formative effect on the later Baroque artists who took theatricality to higher level. At the age of 11 Caravaggio was sent to the workshop of Simone Peterzano in Milan, who was said to have trained under Titian. After several years of his apprenticeship he moved to Rome, the artistic capital of the world, where there was a demand for art due to the Counter Reformation. The Church, under attack from the Protestant movement led by Martin Luther, was looking for a new style of painting, one which would serve as visual propaganda to the Catholic following and reinforce the faith of churchgoers. 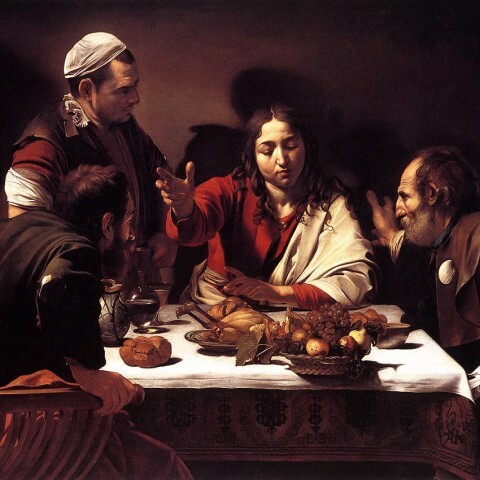 Caravaggio provided a perfect visual language for biblical subject matter, painting in such a way as to emotionally move the viewer and strengthen their beliefs. But his rebellious disposition sometimes caused some controversy. Death of the Virgin (1604-6), for example, was refused by the Carmelite order for whose church, Santa Maria della Scala in Rome, it was commissioned due to the fact that the artist had used a dead prostitute as his model for Mary. 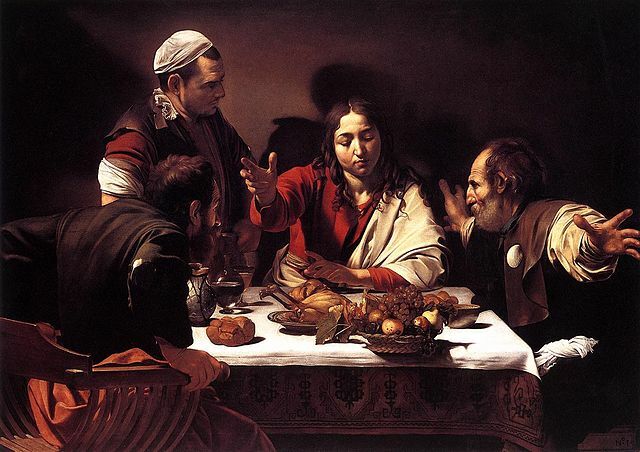 His unrelenting obsession for depicting everyday people proved a two edged sword for Caravaggio; on one hand it worked for the Church as the realism of his works was emotive and interacted with the viewer, but when he pushed tradition too far he was berated for it. 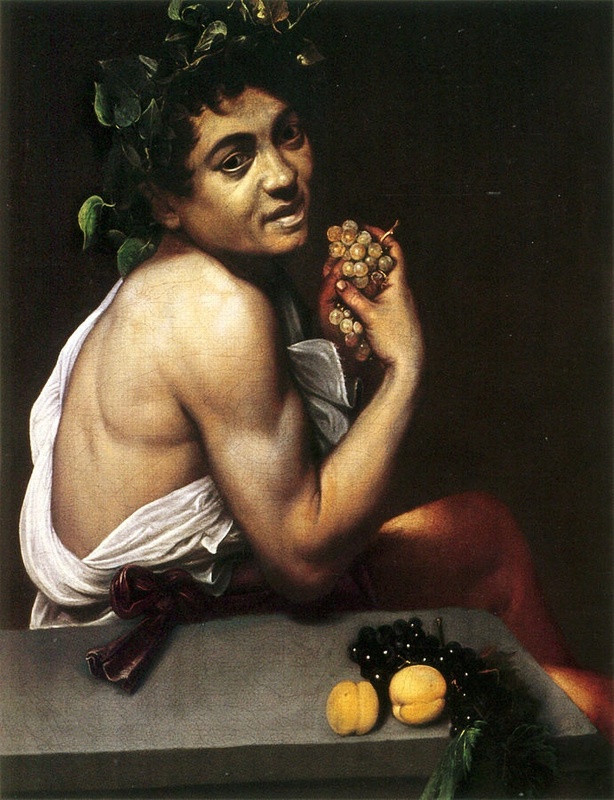 Caravaggio was a radical painter, his unique interpretation of subject matter (largely religious) was influential due to the attention to naturalism and creation of drama through composition and lighting. Chiaroscuro is a word now synonymous with the painter, expressing a strong and forceful contrast of light and dark, characteristic of his works. After Caravaggio’s death in 1610 a following of European painters called the Caravaggisti collectively created works in a style imitating that of their idol. Most famously Orazio and Artemesia Gentileschi, Gerard van Honthorst, and Jusepe di Ribera. More famously artists like Velazquez and Rembrandt were inspired by his originality and through them his influence was carried forward. Compelling, ballsy and unconventional Caravaggio is undeniably one of the biggest game-changers in the history of Western art.